Jake looks at his toy while Windy waits for hers. 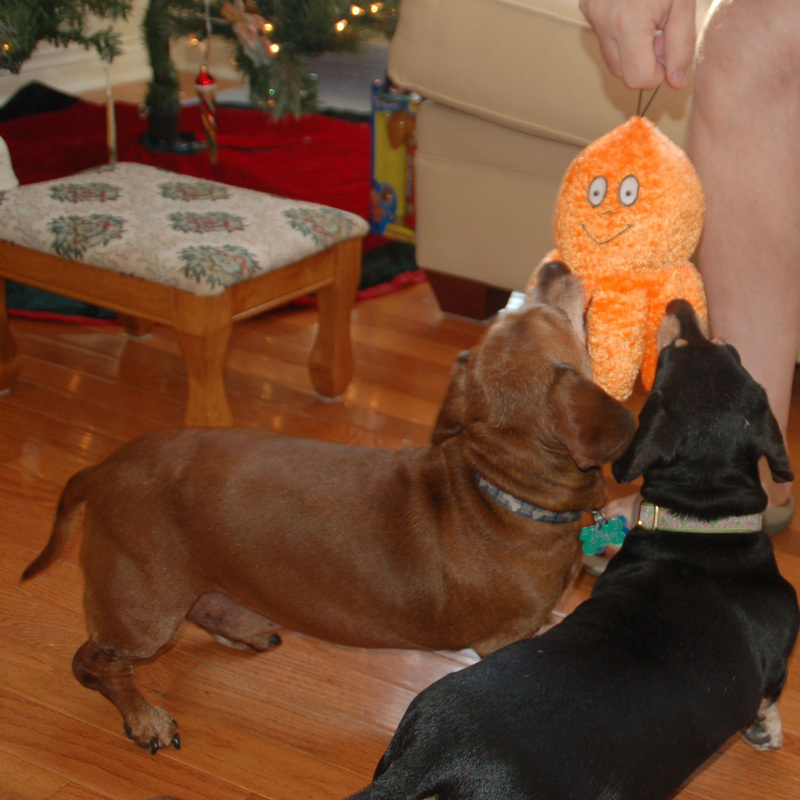 This entry was posted in Dachshunds, Dog Toys, Schnauzers and tagged Christmas, Dachshunds, Schnauzers, toys. Bookmark the permalink.